At Brown Chiari LLP, we realize that an injury often has far reaching implications in the lives of our clients and their families. Our cases involve death, brain trauma, paralysis, loss of limb, spinal fusion, significant fractures, disabilities, and devastating losses of economic benefits. These catastrophic injuries can occur in an instant, but the suffering continues for a lifetime. Choose personal injury lawyers who have earned their reputation where it counts… in the courtroom. Because of our success and experience, we are able to consistently maximize results in order to fully compensate our clients who have been needlessly harmed. Multi-million dollar verdicts and settlements are nothing new to us. 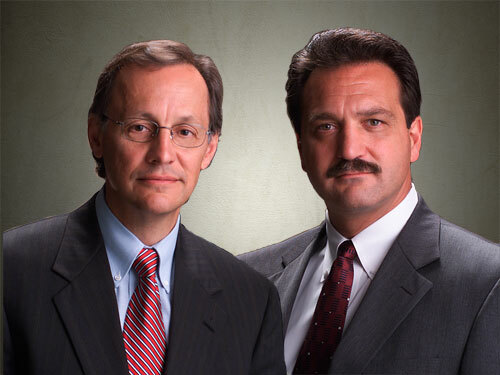 New York’s Brown Chiari LLP has consistently obtained top results in all areas of personal injury. In addition to handling automobile accidents, construction accidents, and defective products, Brown Chiari LLP is fully experienced in nursing home abuse and neglect and much more. Please take a moment to review information regarding Brown Chiari’s verdicts and settlements. We devote all necessary resources to maximize recovery for our clients. Such cases can be very expensive to prosecute and may require extensive investigation and numerous expert witnesses. Over the years, we have worked with experts from many fields, including science, medicine, engineering, and finance. Whether it is a defective product, construction negligence, or auto accident, our approach is the same: we use our unique experience and creative approaches to advance all theories of recovery and articulate all aspects of a client’s loss. Brown Chiari LLP prosecutes all those who can be proven legally responsible. Our lawyers have earned multi-million dollar recoveries by expanding complex theories of law and developing new approaches to establish liability and identify the right defendants. Financially, we are able to investigate and prosecute expensive cases extensively. Our lawyers take pride in moving cases to completion efficiently without jeopardizing full recovery.